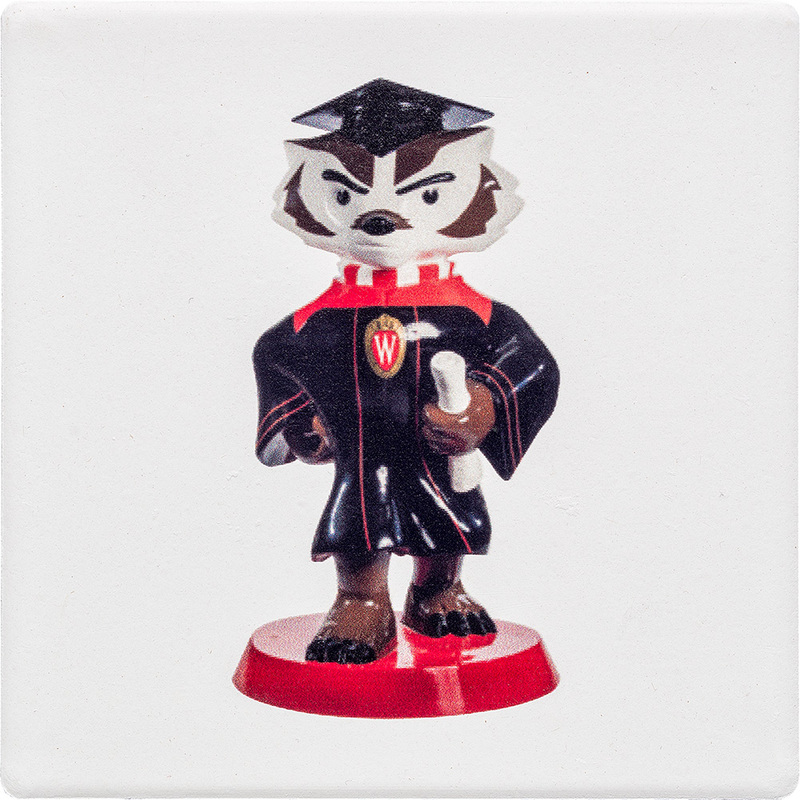 This coaster is perfect for any Alumni! The 4.25″ square coaster is perfect for a desk or coffee table. The absorbent stone features the Bucky on Parade Graduation Bucky printed on the front in full color ink. The cork back makes it safe for all surfaces. Heat and water resistant this is perfect for any drink. Personalize with a marker or paint with the graduation year for a cute gift!